Get your message about your products and services out to your customers with a BUSINESS SPOTLIGHT. Contact Merv Unger 250-616-0416 to discuss how you can be featured on this high-traffic location on the Information Highway. Jim Stewart became a licensed REALTOR® in 1993, and has been successfully helping buyers and sellers of residential real estate on Vancouver Island for over 20 years. He has been a fixture in the Nanaimo community for 23 years, and he and his wife Cathie proudly raised their family here. After working with Coast Realty for more than 20 years, Jim and his business partner, Catherine McCull, recently made the switch to 460 Realty. He brings his clients a diverse range of knowledge and experience. Prior to entering the world of real estate, he held positions as both a homebuilder and finance manager. He also gained a vast amount of political knowledge, serving as a Director for the BC Liberal Party from 1999–2012. His passion for politics and real estate is evident, as Jim quickly rose through the ranks of the industry. In 2006, he was named Realtor of the Year, and he was also elected as a Director on the Vancouver Island Real Estate Board (VIREB). He held a seat on the board from 2006–2012, culminating with a one-year term as President in 2011. In 2012, Jim was elected to the British Columbia Real Estate Association (BCREA) board of directors, and is still an active director today. He was also an integral member of the Government Relations committees for VIREB and BCREA from 2000–2008. Jim believes that his wealth of industry experience and his community connections have played an integral role in determining his success. 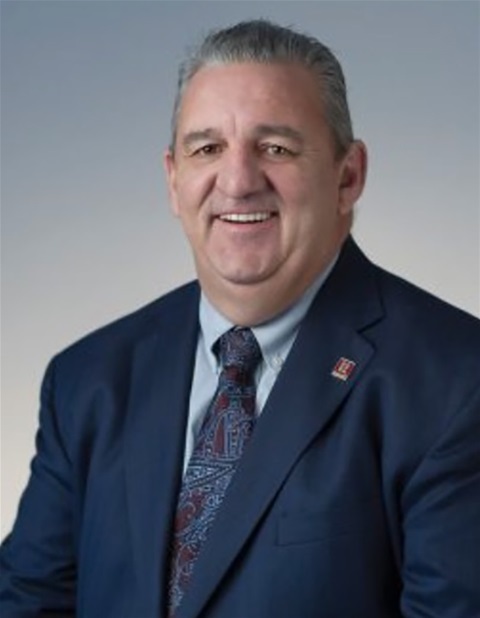 He continually adheres to the highest standards of professionalism, and is always striving to find new ways to deliver the utmost level of service to his clients. His expertise will help to take all the guesswork out of the home buying and selling process, making it as stress-free as possible. 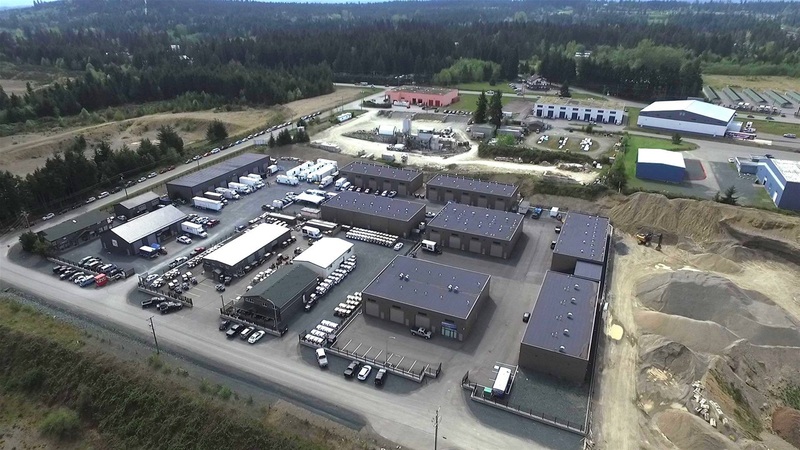 Vancouver Island Film Studio on the outskirts of Parkvsille. 0615 - You may remember my attempt to crash the Hollywood scene last summer with a role on the hit TV show Chesapeake Shores which is shot on Vancouver Island. I must have made a real impression – Jacqui Kaese, who owns CK Casting, gave me another shot at stardom this season, on the same show. That was monumental after last year’s break in. You see, I was in one scene, sitting way in the background as a patron at a make-believe bookstore. I waited in anticipation when the show finally aired, and lo and behold, I was sitting behind a potted plant, never to be seen. What a debut! Jacqui gave me another shot at making a lasting impression and I wasn’t about to miss it. If the director uses a mere snippet of the film they shot, I’ll be a household name in no time. I made sure there were no potted plants anywhere in the line of sight. It was a full 12-hour day which invloved scenes for two episodes of the show. The set was at the new Vancouver Island Film Studio just outside Parksville. It’s a real eye opener of a development, with huge warehouse-sized buildings where the action takes place. For Chesapeake Shores there were more than a dozen semi-trailers with equipment, sets, sound and lighting equipment and change studios. This is the third season for Hallmark Channel's Chesapeake Shores production activity in Parksville, Qualicum and Nanaimo. Chesapeake Shores producer Matt Drake says the production managed to get by for the first two season. "We kind of did things we would call poor-man solutions where you are renting a warehouse and trying to outfit it yourself. Having a purpose-built studio just makes it a lot easier." Drake met Parksville businessman Ron Chiovetti three years ago and an exciting new venture sprouted. Chiovetti began building the island's first designated film studios in Parksville, incorporating sound stages, office, construction and prop shops all to aid the growing film industry on Vancouver Island. The late Tom Harris was Chiovetti’s founding partner on the project, and Tom’s son Mike has stepped up into his father’s role. For Joan Miller of the Vancouver Island North Film Commission the studio is a dream come true. The opening of the studio last October was a big day for the film industry in the region. "It brings all the pieces together between locations, training, incentives and now to have infrastructure that will support Chesapeake Shores and other ones that have been really interested in coming here. We're the full package now," adds Miller. The new studios and local crews are a big attraction for Drake who says productions will save money. "What it does is it gives us the confidence to know that if anything comes up at the last minute we have a space that we can go to and I think that's what's really important for other producers who are apprehensive about bringing production to the mid island region." added Drake. "The locations in Vancouver are sometimes exhausted, you know we are fresh, we are new or undiscovered territory," said Kaese. She employed more than 1,000 extras on the second season of Chesapeake Shores, and more this season. This production alone injected up to $10 million into the local economy last season. At least half of the crews are locally employed so there was a push to keep the production here. But more crew members are needed and that's why a new program has been started at North Island College. They're learning everything from being production assistants to helping with set design to learning lighting. The fact that the studio is here for them to work is so exciting, says Randall Heidt, North Island College VP of Strategic Initiatives. Four studios are now in operation with 28,750 square feet of clear span area with ceilings more than 20 feet in height. Two more studios are in the works, with even higher ceilings. That will boost the total facility space to nearly 50,000 square feet. 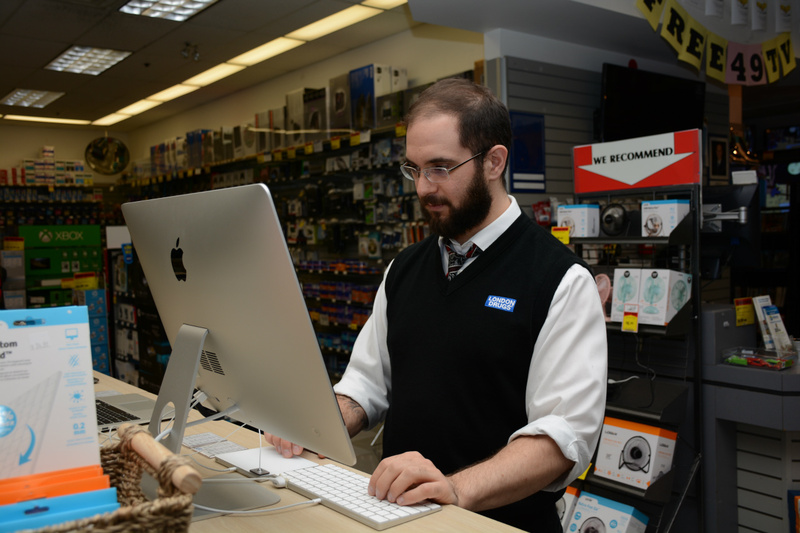 Apple certified technician Justin Tilber at London Drugs Port Place. Technology – even the word can be intimidating. There’s e-mail, cell phones, camera phones, URLs, service providers, browsers 404 errors and a whole lot more to confuse ordinary people. That’s where London Drugs enters the picture with the recent addition of Justin Tilber as the full-time Apple-certified technician at the Port Place Mall location. Store manager Warren Cook says he recognizes how much customers depend on this service. “We went for a number of months without a technician but now I’m happy to inform everyone we are once again operating at full capacity,” says Cook. “Having a real human being in front of you to help makes it so much easier when faced with frustrating technical problems”, Cook adds. Justin has really immersed himself into his new responsibilities. He’s not a newcomer to London Drugs, by any means, having started with the company in 2007 as a lab technician in the photo department. He dabbled in other departments but the photo lab always rose to the top. His interest in computers and technology since childhood proved invaluable as digital photography took over. Digital cameras and computers now work hand in hand. “There is something magical about taking all the work of a photo shoot, editing it, and seeing it come off the screen and manifest as a large print,” he says. “I love learning and computer technology is an exciting and constantly changing field, so there is always something new to discover,” he says. “It's fantastic developing a deeper understanding of these machines that have become an ingrained part of modern life. Taking a device that was functioning poorly or not at all and getting it working smoothly is incredibly gratifying and it never gets old seeing the relief on someone's face when I've got their machine working again,” he adds. Another invaluable asset is that with the constant changes in technology, Apple-certified technicians constantly upgrade their knowledge. Justin stresses the importance of having a technician on site. When someone buys a computer from London Drugs it’s reassuring to know that they stand behind the product. With a certified technician on site London Drugs can take care of everything without a customer having to hunt around qualified help – or even sending it back to the manufacturer. Even when people have bought their computer elsewhere, they can come to London Drugs and talk in person rather than dealing with phone support from some far-away place or online forums. “Dealing face to face with a technician creates a comfort zone when dealing with frustrating technical problems,” says Justin. He has lived in Nanaimo for over 11 years and is totally sold on living the good life here. “Nanaimo has a great balance of easy access to nature while retaining all the amenities of a city so that I can go for hikes our out kayaking without travelling far, but still buy groceries at 9 p.m. It has a strong and growing scene for art and music so there's always something fun and interesting to do”, he says. The London Drugs computer department is open Mon - Sat. 9 am to 10 pm. Sunday 10 am to 8 pm and on Statutory holidays, 9 a.m. to 9 pm. Phone the computer department (250-753-5566) to determine whether Justin is on duty. The next time your computer starts acting up, put it in Justin's hands. Who knows, he might even be able to give you some camera tips.